Bring some fierceness to your wardrobe with this stunning Cheetah Bow Drape Mini Dress. 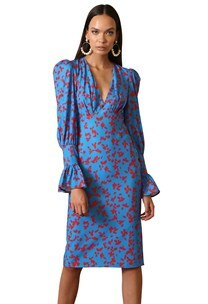 Gathered at the front to create a V-neck, the dress effortlessly wraps the body, hugging the figure nicely and ending above the knees. 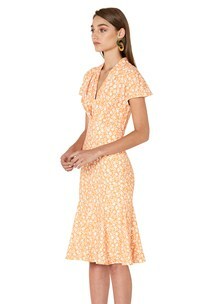 The dress features a statement knotted bow, which sits naturally on the hips. The Cheetah Bow Drape Mini Dress is made from printed stretch jersey, has a centre back chunky metal zip for access and is fully lined.